Celebrating the formation of new student council of the school, an ecstatic funfair was organized on July 7, 2018. The students of higher classes had set up stalls of eatables and also of games. All the students enjoyed the delicacies whole heartedly. Through their activities, students learned the dignity of labour, cooperation, skill of handling the situation and salesmanship. Volunteers from Standard VIII, IX and X maintained the discipline and cooperated their student colleagues. The priority was given to cleanliness along with fun. 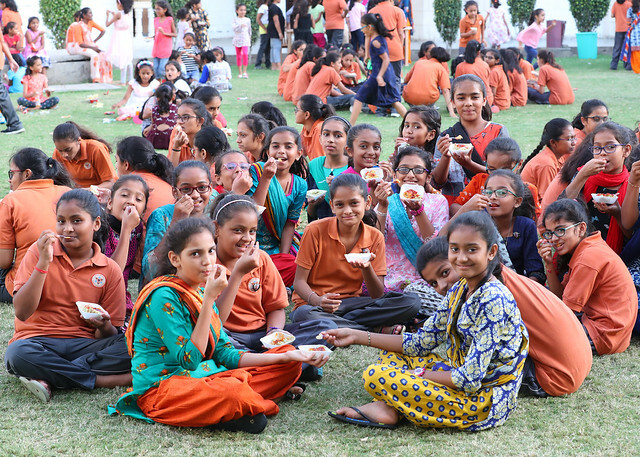 All the students of the school enjoyed the day very enthusiastically by feasting on the variety of cuisines and playing different types of games. An aura of cheerfulness and happiness was sparkled on the faces of the students and in the school campus.